Founded in the 1940’s The Food Bank @ St. Mary’s is Seattle’s oldest food bank. The doors are open to everyone regardless of creed. The services target the most basic of human needs. This week, in preparation of Thanksgiving the food bank is giving away over 1200 turkeys. “We started looking for donations earlier this year from the better known companies who distribute turkeys,” said Alison Pence, Director of the food bank. “Everyone told us they were only giving to their local organizations. So I decided to ask locally for donations from churches, schools, individuals, even on my personal Facebook page!” Slowly but surely the donations came in. One of the local churches physically brought in 225 turkeys on Monday morning. The food bank bought 1000 turkeys with the donations that came in. 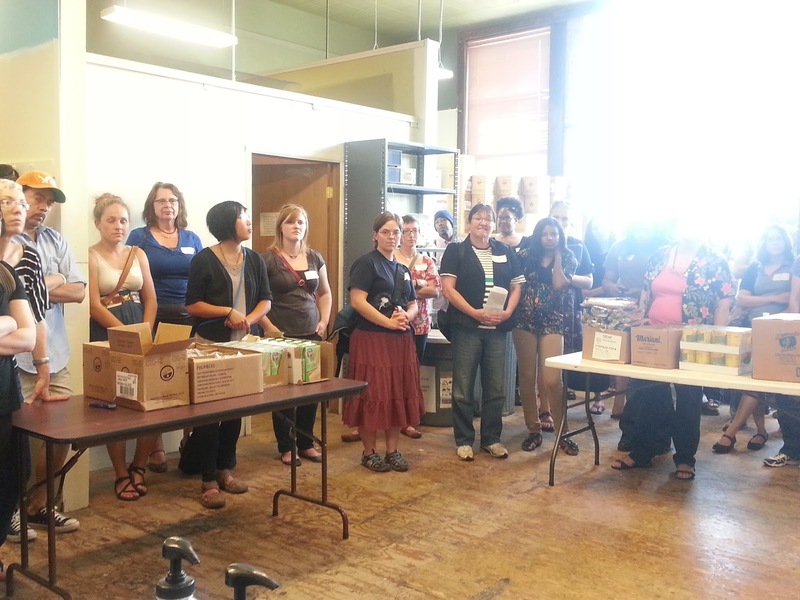 The Food Bank @ St. Mary’s serves anyone living within the Seattle city limits. 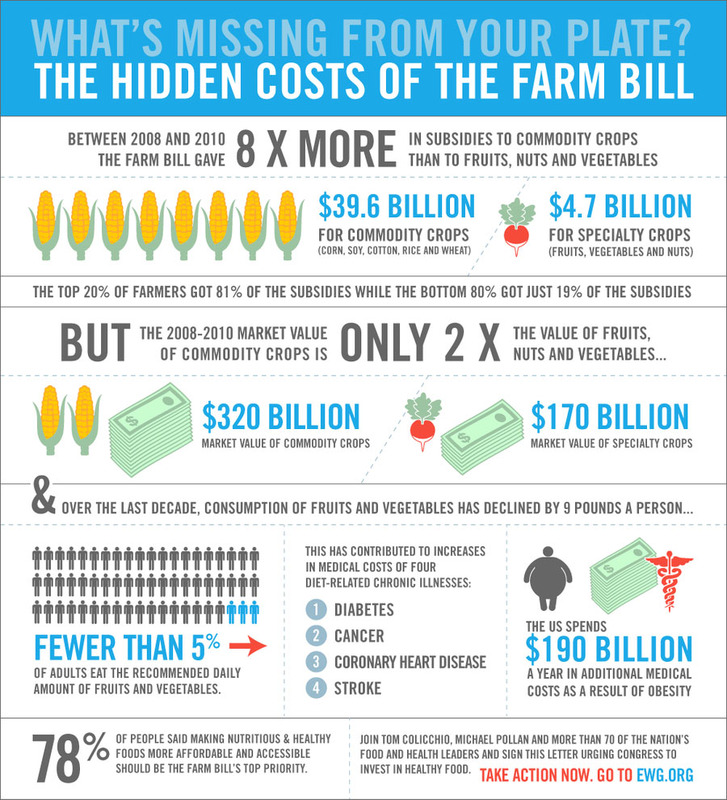 Our primary purpose is to combat hunger at a local level. Along with a staff of five and a team of 100+ volunteers, we operate a walk-in food bank and a home delivery program providing groceries for 7,500 – 8,000 people each month. In addition to food items, we provide No-Cook bags of groceries for the homeless, hygiene products such as soap, shampoo, and socks, as well as baby and toddler supplies including formula, diapers, and baby food. Earlier this year, the food bank started the “Feeding Hungry Children” program feeding children who attend local schools. The Food Bank @ St. Mary's Online Auction! NOTED CELEBRITIES JOIN FORCES TO RAISE FUNDING FOR THE FOOD BANK @ ST. MARY'S IN SEATTLE, WA! • Football Sportscaster Chris Berman signed poster of himself as "The Gridfather"
• Rock Radio Station KISW 99.9 in Seattle in Studio event - BJ Shea Morning Experience for 2 + Prize Pack - Winner sits in from 8 to 10 am during the show in the studio! Bidders will find the items by either typing in the names of the donors above, or by typing in the eBay name of the Food Bank - which is foodbankst.marys. Remember, all proceeds from the auction go to the non-profit, 501(c)(3) Food Bank @ St. Mary's. PLEASE BID GENEROUSLY. The object is not to get "A Good Deal" but to support a non-profit, social service agency that feeds those in need and does so much more to improve the quality of life for people who are suffering or facing hard times. For over 66 years (since 1946) the mission of The Food Bank at St. Mary’s in Seattle, WA has been: “Supporting our community with hospitality, respect and nutritious food.” Our goals and our programs serve to meet the basic food needs of the most vulnerable in our community who are unable to provide for themselves, including low income and poverty level families, infants, young children, the elderly, disabled, handicapped, homeless and home-bound individuals, those who are experiencing severe hardships for the first time due to job lay-offs or other misfortunes and those who are in permanent dire circumstances. This celebrity auction is to raise funding for our programs and food purchases. 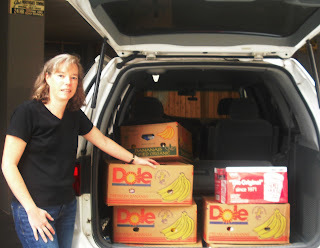 In 2011 we served over 83,000 people and distributed over 3,000,000 pounds of food to people in times of great need. 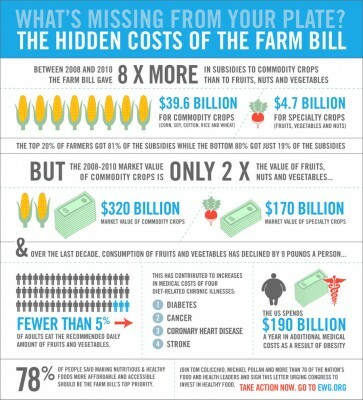 Currently in 2012 we are feeding over 8,000 people a month. Our website is www.thefbsm.org. Again, the fundraising celebrity item auction goes live for 10 days starting this coming Saturday morning, September 1st and ends on September 10th. Thank you so much for your generous support of the Food Bank @ St. Mary's. Your bidding helps feed others. If you have any questions about any of the items, call Freeda at 206-769-5941. 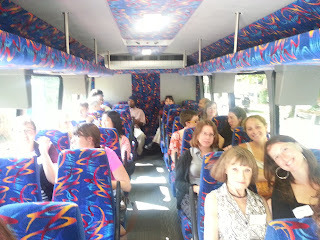 On Monday, August 13, 2012 over 40 individuals from food banks, meal programs, the city and state, and food distributors attended the annual SFC Van Tour. 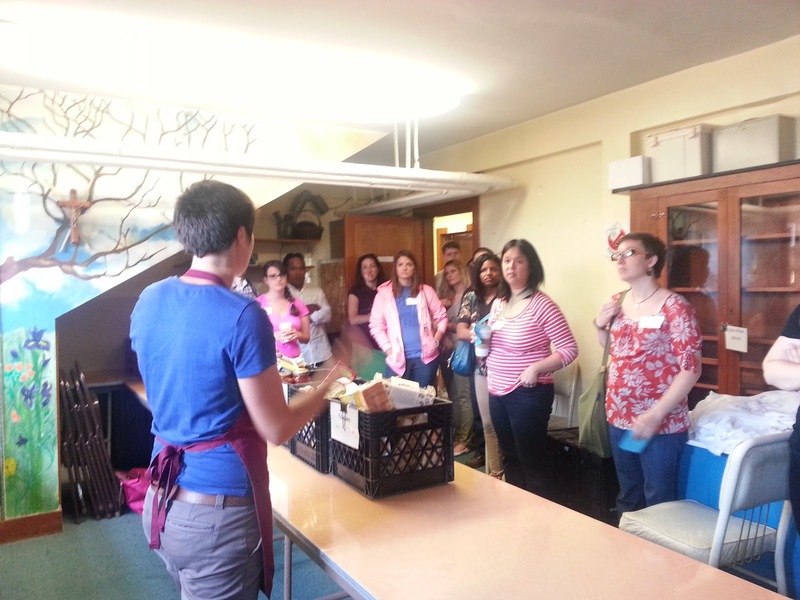 This year’s tour gave attendees the chance to learn about a few of Seattle’s meal programs and the work they’re doing in the community. The Queen Anne Food Bank operates a sack lunch program five days a week and a food bank one day a week. The food bank closed temporarily in November 2011 when St. Vincent de Paul could no longer fund it. However, in February 2012 it reopened with support from the community. Now with donated food, one paid staff member, and 50 volunteers, the Queen Anne Food Bank serves 2,400 sack lunches and 250 grocery bags a month. 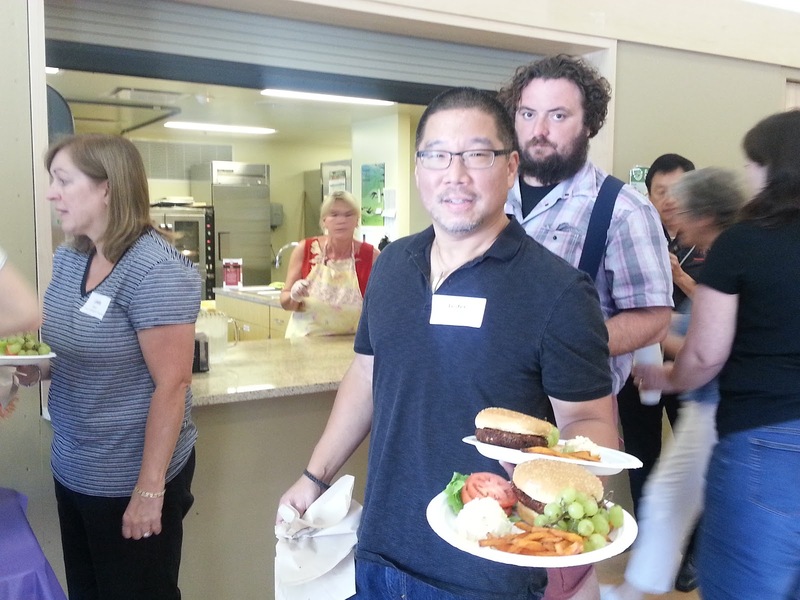 Recovery Café is a recovery support center that provides several services to its members; among those services are lunch and dinner provided daily Tuesday through Saturday. Meals are prepared from scratch by members who volunteer to cook. 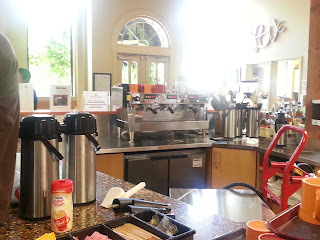 The Café also has an espresso machine that was donated by Starbucks. Café Vita donates coffee and maintains the machine. 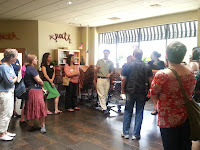 Members can be trained as baristas, and there is a latte hour most weekdays. 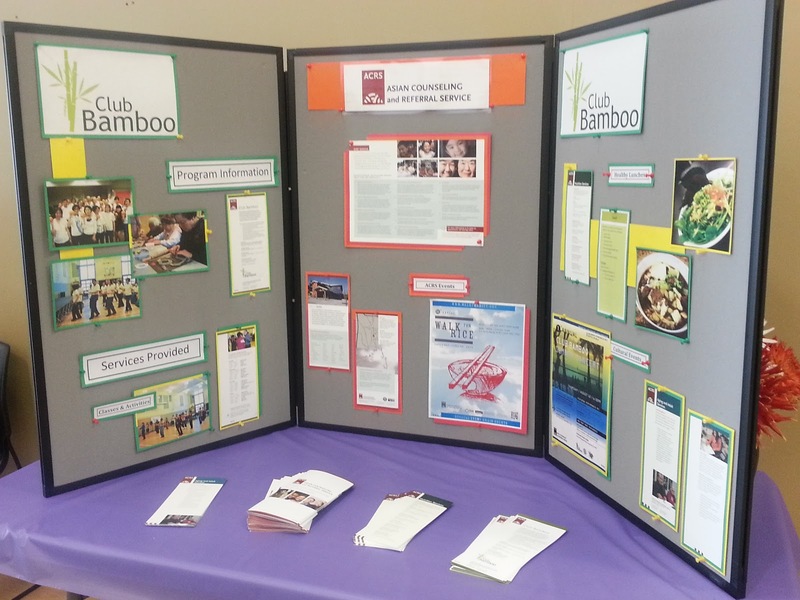 Club Bamboo at ACRS provides lunch and socialization activities for seniors Tuesday through Friday. 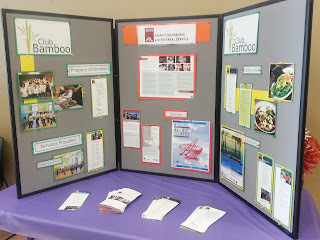 After an energizing line dancing class, people can come together and enjoy the delicious lunches served by Club Bamboo; van tour participants were lucky enough to enjoy one of these lunches. Our lunch menu was: Katsu burger, potato salad, grapes, pears, and sweet potato fries! In addition to the meal served at Club Bamboo, ACRS also works closely with organizations in the community to provide ethnic hot meals to seniors. 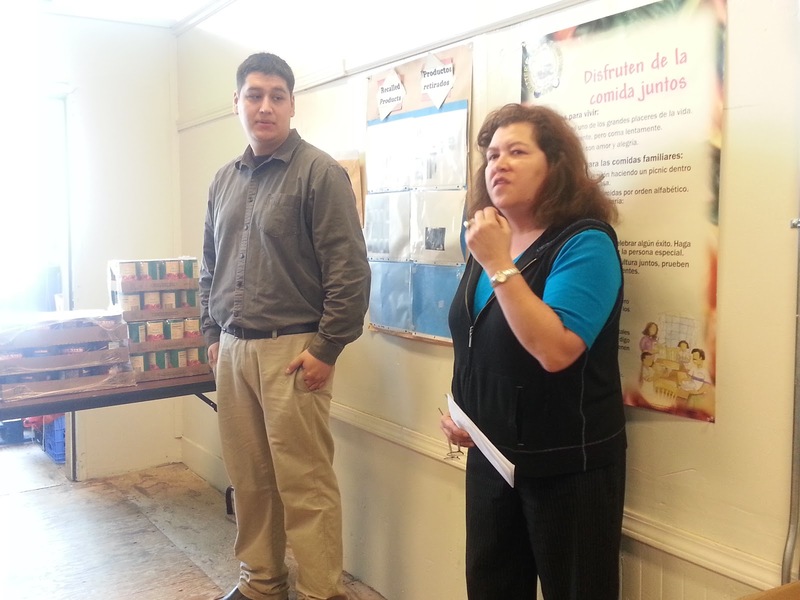 El Centro de la Raza operates a Latino hot meal program and a food bank. Their hot meal program has specific meals for youth and seniors and a lunch hot meal open to anyone Monday through Friday. Their food bank is open Wednesday, Thursday, and Friday. They provide approximately 2,000 bags of food a month, and 90% of that food is donated. They serve a large Asian population, and estimate that there are about five different dialects spoken among their clients. The Community Lunch on Capitol Hill was our last stop on the van tour. 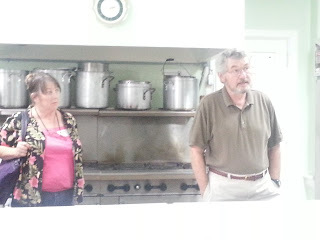 They serve 40,000 hot meals every year using over 120 tons of food! 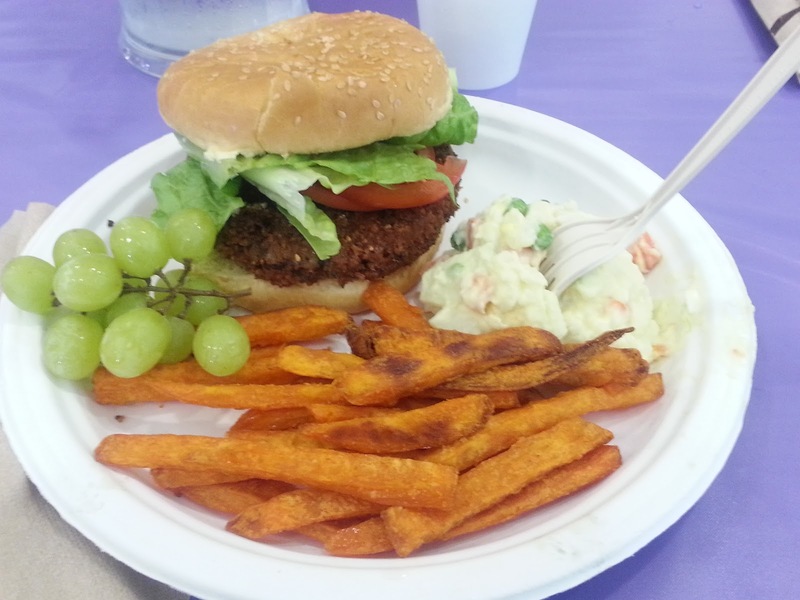 Hot meals are served Tuesday and Friday at noon and Thursday at 5:00 pm. Community Lunch receives from Food Lifeline, Northwest Harvest, and grocery rescue programs. Don was especially generous and served us ice cream to celebrate Alison's time as the Food Resources Program Assistant; she will be missed! The group eats lunch at ACRS' Club Bamboo. 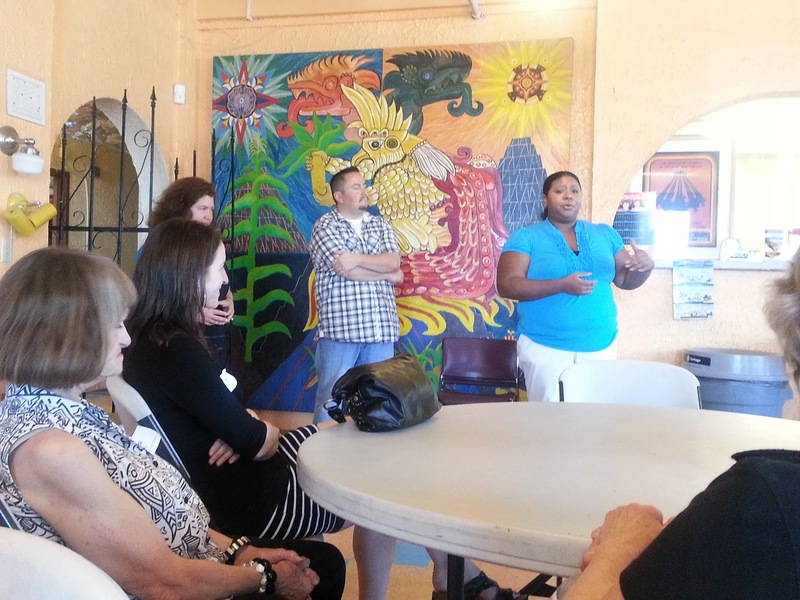 Denise tells the group about El Centro's history. David shows off Community Lunch's kitchen. The group in El Centro de la Raza's Food Bank. Lester picks up his delicious lunch. 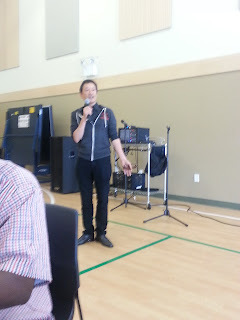 Gary Tang tells the group about ACRS. 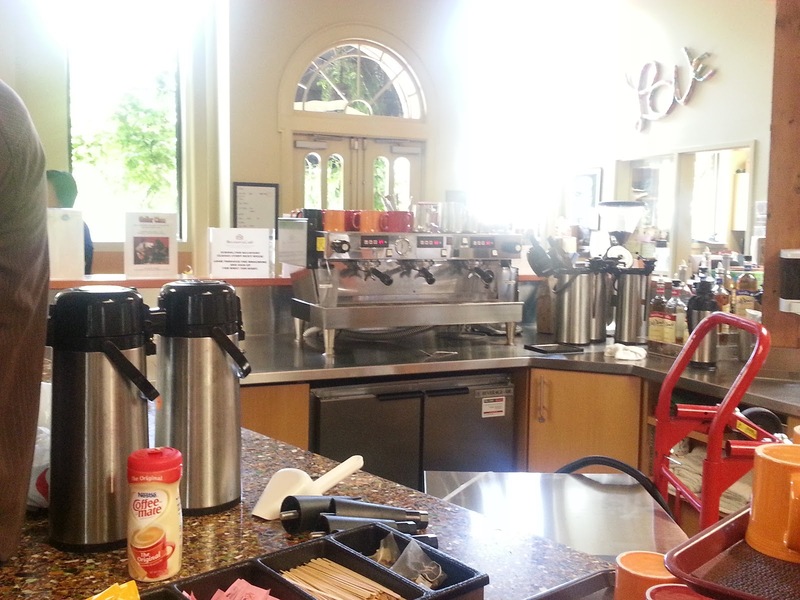 Recovery Cafe's espresso machine, donated by Starbucks. Annaliese Stelzer-Terminello, Food Bank Coordinator at SFC Member Immanuel Community Services, shares her experience from a de-escalation training that was held for SFC and MPC members on Monday, July 30, 2012. 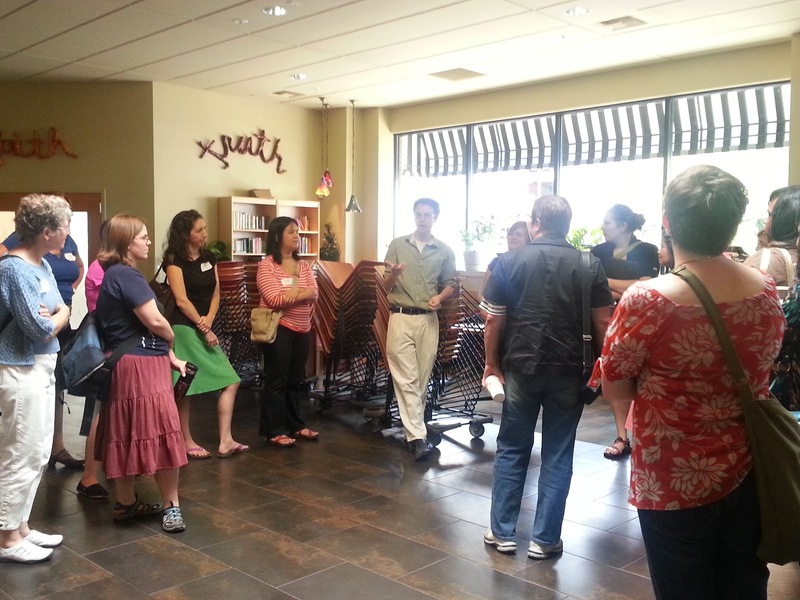 On a Monday afternoon, a group of Food Bank and Meal Program managers, coordinators, and volunteers gathered at the Mt. 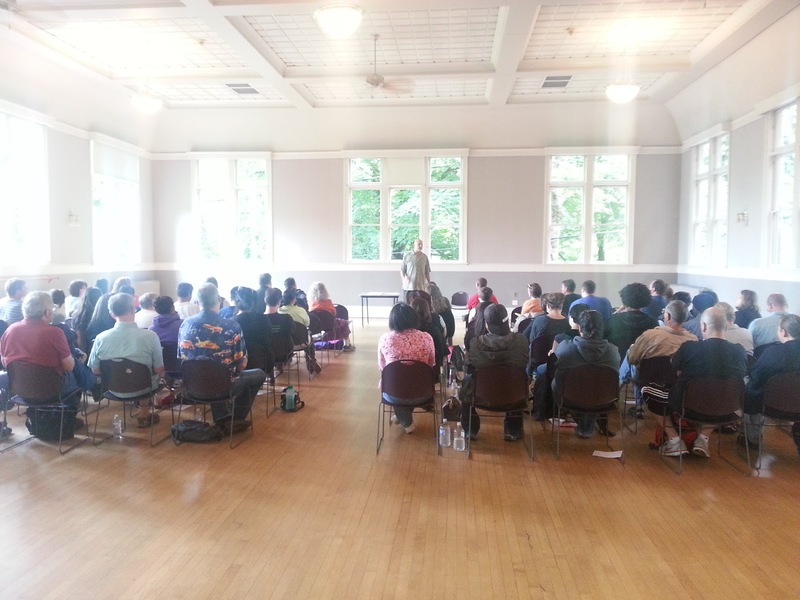 Baker Community Club to learn about methods of de-escalation. 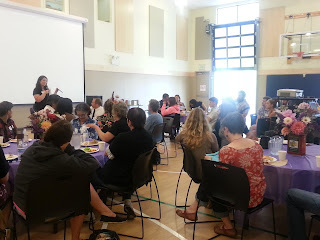 The Seattle Food Committee and the Meals Partnership Coalition have recently started engaging in various trainings and meetings together to build partnership between programs concentrating on food justice in our area. 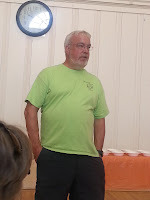 We sat in folding chairs, eating fresh cherries and popcorn, and listened to our presenter, Ellis Amdur, speak about his experiences in de-escalation and share tactics for use in our own programs. Ellis was entertaining as well as knowledgeable. He taught us through stories instead of slides, using his natural theatrics to keep a large audience engaged. We learned about crowd control, behaviors of an angered person vs. an enraged person, how to protect yourself and your volunteers in a crisis situation, and more. Audience participation and testimony were encouraged. My partner and volunteer, Dante John Terminello, and I were both chosen to help demonstrate de-escalation tactics. I expected that we would address most of these issues and had heard or used a number of his tactics before, but repetition of good information is always helpful. I was surprised when Ellis spent a portion of time talking about deep-breathing. 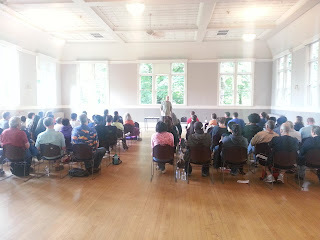 We all practiced a method of circular breathing that Ellis had learned while studying martial arts in Japan. The purpose of this practice is to stay calm in tense situations and make quick decisions with a clear head. Each agency was given a free copy of Ellis’ book, which details the information he presented and is meant to be shared with interested partners in each program. Both Food Banks and Meal Programs serve a diverse and sometimes unpredictable population. De-escalation is an important skill to have when working in social service arenas, as well as in the home, at school, and throughout daily life. As the Food Bank Coordinator of Immanuel Community Services, I highly value these types of trainings and greatly appreciate the chance to join with other food bank and meal program leaders and volunteers to discuss new tactics, best practices, and interesting stories about nonviolence and de-escalation. Micah Phillips, Food Bank Specialist at SFC Member Jewish Family Service Food Bank, describes how Jewish Family Service implemented knowledge learned from a SFC Cultural Competency training. At the Cultural Competency session in July, we heard from five panelists about how each of their cultures approaches food and hunger issues. We heard from Yuriy Martyn about the Ukranian community, Munira Mohamed about the Somali community, Kim Long Nguyen abou tthe Vietnamese community, Gary Tang about the Chinese community, and Perla Perez Ramos about the Latino community. As a former Peace Corps Volunteer to China, I was particularly interested in what Gary had to say. Having lived in Sichuan Province in southwest China for two years, I am familiar with the food eaten in the southwest, west, central and north regions of the country. Southeast China, on the other hand—Shanghai, Hong Kong, Taiwan and the provinces around Guangdong (Canton)—the area where most of our Chinese clients come from, is an area with which I am much less familiar. I am aware, of course, of the Southeastern Chinese fare that is found in most American Chinese restaurants: dim sum, congee, etc. I am less aware of what Southeastern Chinese people actually eat. Thankfully, Gary confirmed what I already assumed: Chinese clients are less interested in wheat flour products, creamy sauces and root vegetables like potatoes and carrots. They tend to be more interested in fresh greens, tofu, meat and rice. They are also particularly fond of “Asian” vegetables, like lotus root, bitter melon, kabocha and taro. After the session, we at the JFS Food Bank began a project catering specifically to our Chinese Home Delivery clients. At Leschi House in the International District, all of our clients receiving food deliveries are of Asian descent. About one-third of the clients are Vietnamese or from some other Southeast Asian country and almost two-thirds are from China. Taking into account all that we learned from the Cultural Competency session, we began tailoring our basic food bags to account for these Asian clients’ specific dietary preferences. 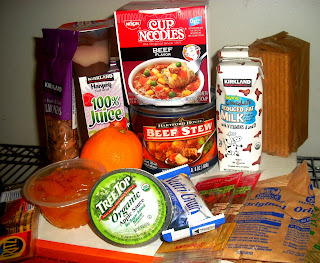 We modified, for example, the staple food items we normally put into our bags—typically “Western” items like oatmeal, flour pasta, tomato sauce, bread, canned soups and canned beans—and instead added more Asian staples like rice noodles, jasmine rice, tofu and dried red or black beans. For the fresh produce, we made similar changes, so instead of having vegetables usually found in the Western diet—leaf lettuce, potatoes, cauliflower and carrots—we substituted more traditionally Asian vegetables, like bok choy, rapeseed greens, lotus root and Siamese ginger. We also made an effort to buy our ingredients from the local grocery stores at which our clients might actually shop. We bought last month’s fresh produce from a Vietnamese-owned grocery store at 10th and Jackson. For someone outside the food community looking in, the act of providing a different kind of noodle or leafy green vegetable might not seem important. At the JFS Food Bank, however, we believe that difference matters. Sure, a hungry person will put anything into the pan and call it dinner. But if that person can look at their food and experience nostalgia for the place they came from, perhaps it makes their meal that much more satisfying. That’s what we at the JFS Food Bank are striving for, and what Solid Ground’s session inspired us to provide. Culturally competent food that our clients appreciate. 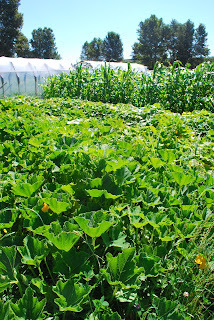 This post, written by Jessica Sherrow, a Harvest Against Hunger Summer VISTA with Lettuce Link, originally appeared on the Lettuce Link blog. Jessica has been working with the P-Patch Giving Gardens this summer to support the growing and giving efforts. What in the world am I going to do with all this zucchini?? Andrew Kingsriter, a Lutheran Volunteer Corps member at SFC Member El Centro de la Raza Food Bank, reflects on his year of service. Greetings! My name is Andrew Kingsriter and I am completing a year serving as the Foodbank Coordinator at El Centro de la Raza. I am working here at El Centro as a part of the Lutheran Volunteer Corps (LVC), a yearlong service program that places volunteers with non-profit organizations throughout the United States. The foodbank at El Centro serves the diverse Beacon Hill neighborhood as well as the greater Latino community within Seattle. Over the course of the last year we have seen a steady amount of traffic coming into the foodbank. This story is not unique to El Centro; it has being repeated all across the city and county. The steady use of emergency human services continues to demonstrate the critical need for continued support for these programs at all levels of government. 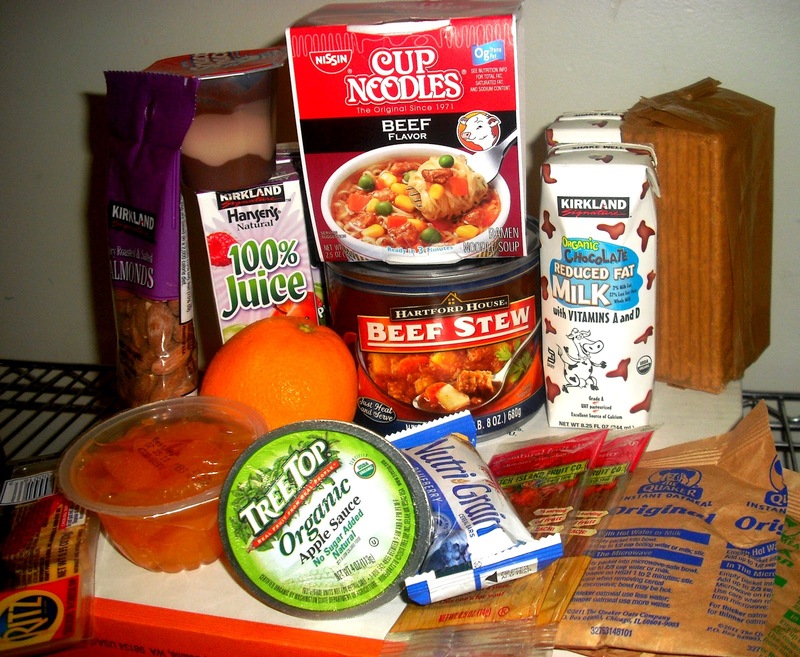 In addition to the foodbank, El Centro has several other food related programs including; a free community meal every weekday from 12-1pm, a senior program that includes a four times weekly congregate meal and home deliveries, and a summer meals site offering free breakfast and lunch for children under the age of 18. As the diversity of these programs demonstrate, they serve a need felt at all levels of the community. I think one of the best parts about El Centro is that it has a seemingly unconscious ethic of removing the stigma attached to receiving human services. Especially in regards to something as basic as food, I think El Centro really does try hard to remove feelings of inadequacy or un-worth that can accompany receiving these types of services. Over the course of my time at El Centro, I have come to better understand how important that ethic of inclusion is. It is easy to give out food, but to make people feel included and welcoming them into building meaningful relationships is the where the real work begins.